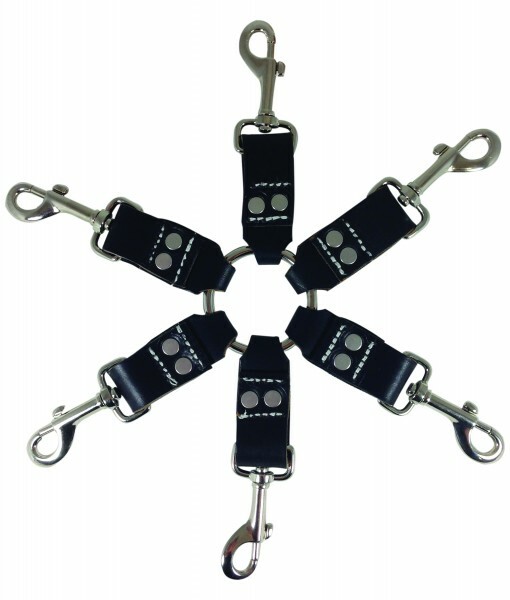 Sportsheets new Edge line Leather 6 Point Hog Tie Bulk. Cowhide leather. Nickel free hardware. Only 6 point hog tie on the market. Can be used with Edge Wrist, Ankle, Arm Cuffs and other attachments. Handcrafted in the USA. Includes: one center o-ring with 6 hand sewn leather points of attachment. Materials: Cowhide Leather, Nickel Free Hardware. Please note this item comes bulk without retail packaging.